Posted by: Ash on October 18th, 2014, in Guides. Tags: Amazon Rainforest, Iquitos, Peru, Protected Areas. Iquitos is a fantastic city to visit at all times of the year but if you’re sensitive to hot temperatures, you may want to miss the hottest months of September, October and November. However, many people find these months an enjoyable time to visit. On average, temperature in the day goes up to around 32°C (90°F) and falls back down to about 22°C (72°F) at night. There is a slight difference between the wetter and drier months, but this is only by one or two degrees with the wetter season being slightly hotter. The temperature is usually pleasant from day to day and warms to its daily maximum around noon. This means you can enjoy some of the top Iquitos Amazon River tours at all times of year, but there are some differences. We’re in the tropics so there isn’t a normal cycle of seasons and instead you will experience just a wet and dry season, but if you want to get really really accurate, there isn’t even a dry season in Iquitos. As with other tropical areas, the water is drawn up into the clouds throughout the morning (mid-morning convection) and then drops back down in the late afternoon and sometimes throughout the night. This usually clears up by the following morning for a sunny day. As Iquitos is a rainforest city, the rain can get pretty intense over certain months, but it’s usually restricted to only part of the day. Most of the day is usually warm and sunny. The wetter season in Iquitos is between October/November – May/June (receiving around 300 mm of rain each month) and the wettest of these months is usually April with a 50% chance of rain in the afternoon. This means the drier season in Iquitos is from April/May – September/October. The driest period is usually around August or September when you can expect a 30% chance of rain. The locals refer to two types of rain: one only lasts for a short time and is intense and heavy, and the other is soft and lasts for a lot longer. If you’re walking around the city, you will see the locals simply go under storefront balconies to find shelter during the rain then resume what they were doing when the rain stops. This is a nice time to socialize with Iquitos residents and to see who is out and about. Tourists visiting Iquitos for rainforest tours are usually in the highest amounts during the December holidays and also March, which is in the wetter season and then this peaks again during the drier season between June and August. The main festival in Iquitos is the San Juan Festival, which happens from June 22nd to June 25th with the most activity on the 24th. This is to celebrate the birthday of John the Baptist (San Juan Bautista), the Patron Saint of the Amazon. 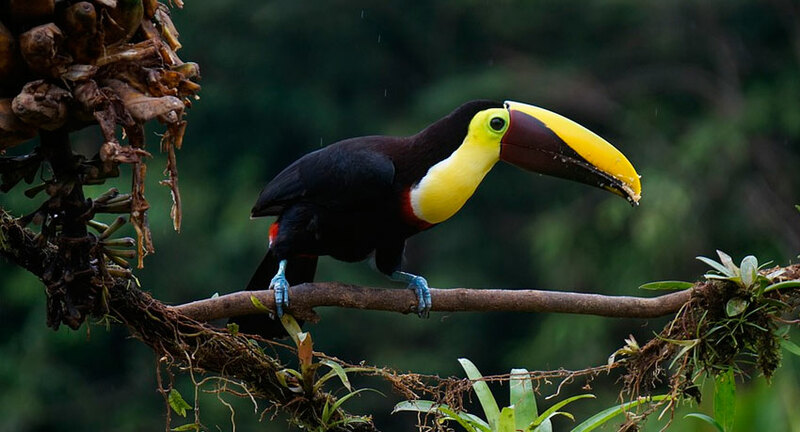 Our favorite lodge from Iquitos for seeing the most animals and plants is the Tahuayo Lodge, which provides almost exclusive access to the incredibly diverse Tamshiyacu Tahuayo Reserve, a custom itinerary, and a professional private guide as standard. 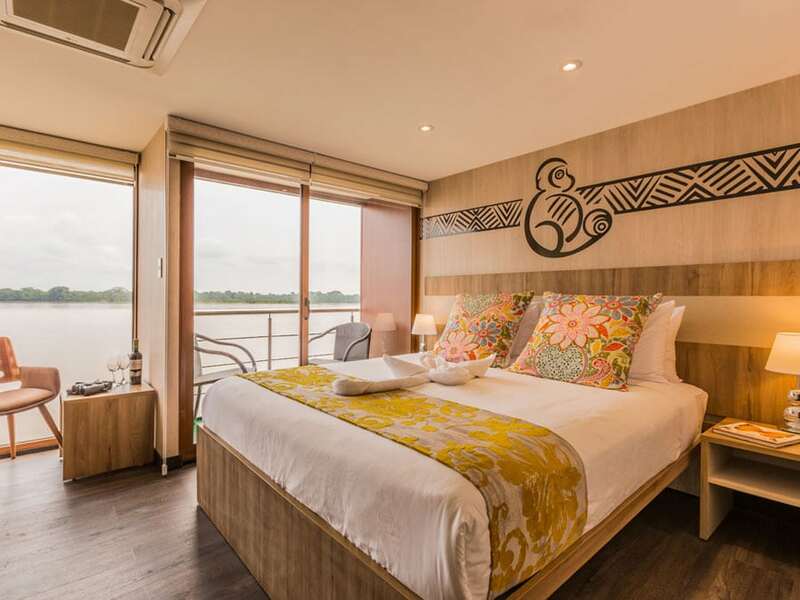 For the Iquitos Amazon, this is our personal favorite as you get to visit two fantastically positioned deep Amazon lodges on tours of 6 days or more (the main lodge & ARC) and can focus on your interests. Owned by a local family that provides support to local villages, the Tahuayo Lodge is regarded as one of the best experiences in Amazonia. The lodge is featured in National Geographic and Outpost Magazine, is consistently ranked excellent on Trip Advisor, and is a supporter of the International Ecotourism Society and Rainforest Conservation Fund. 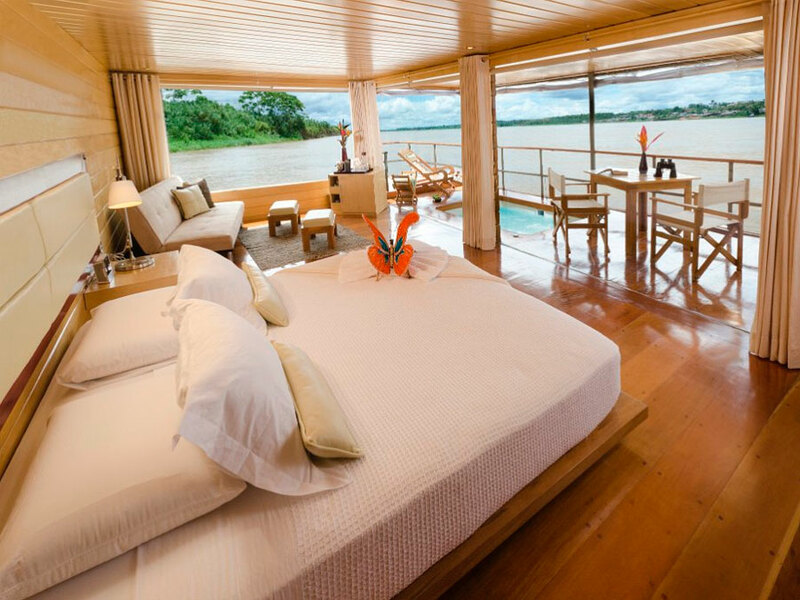 Considering all that’s included, it’s also one of the best rates we’ve seen in the Amazon. To see the most animals and plants, it’s best to visit an Amazon Rainforest lodge over 100 km from Iquitos, such as the Tahuayo Lodge mentioned above. There won’t be a high diversity of wildlife closer in because of the city’s impact on surrounding forests. 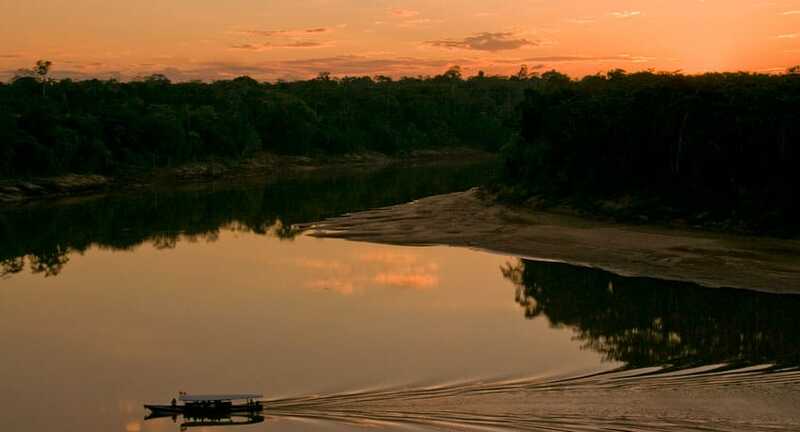 The diversity is incredible if you venture farther from the city, however, where you can see several different monkeys, smaller mammals, fascinating snakes and lizards, interesting plants, giant trees, and many colorful birds. Although wildlife-watching is said to be better in the dry season, the wetter months (October/November to May/June) are when many plants and trees drop their fruit. The ripe fruit is what attracts animals like monkeys and birds, which feed on the seasonal fruit buffet. The months with the most fruit are from January to April. This is also when the forest blooms and the best time to see the most plants in flower in the Tamshiyacu Tahuayo Reserve is between January and June. If you’re interested in hiking, the best time of year to hike will be the drier season as water can rise about 40 feet when the snow on the Andes melts. The lowest water months are from May/June to October/November and high water is from October/November to May/June. The highest water is between March & April. Canoeing is best done in the high water months as you can visit some of the harder to reach places. Because different activities are better at different times of the year, there is always something to do whenever you visit Iquitos and the surrounding rainforest. But if you have specific activities in mind, you can contact the tour using the pages on TourTheTropics.com to ask direct questions to make the most of your visit. Walking trails during the dry season are not as muddy and there is less chance of certain activities being postponed due to rain. The tradeoff of the drier season is that you experience hotter weather. There are fewer tourists in the wetter season and you may find it easier to find amphibians and reptiles. The weather and temperature changes depending on where you will visit in the country. 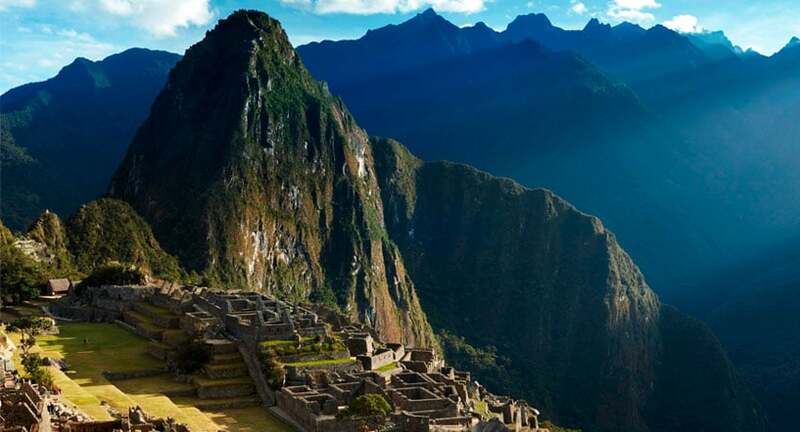 If you’re planning on visiting Cusco as well as Iquitos, you may also like to see the best time to visit Peru or when to go to Machu Picchu.